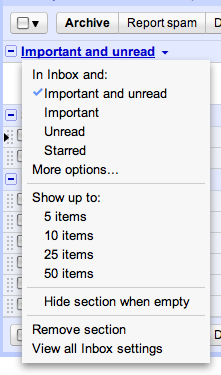 Not Satisfied With GMail Priority Inbox? Try These 4 Killer Tips! 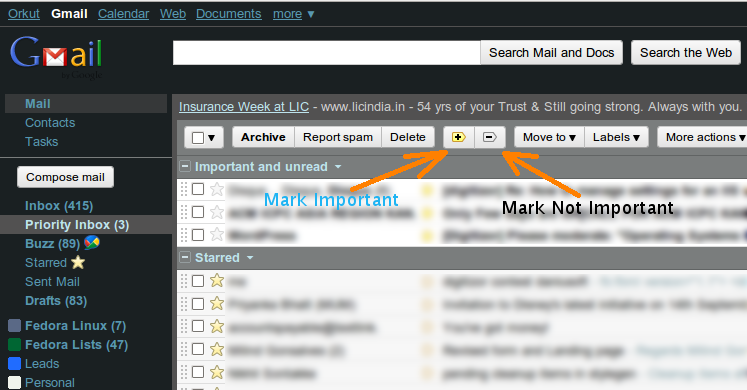 GMail's Priority Inbox works on a basic principle that it separates your mailbox into two parts, one has mails that require your attention or a reply and the other has mails which you require to just read. Sounds cool, but the Priority Inbox may not working as desired for many users and as a result many of them have stopped using the Gmail's Priority Inbox. In this article we will tell you 4 killer tips for GMail Priority Inbox that will help you to use the Priority Inbox feature very easily. Go to your Priority Inbox Settings and select the Override Filters option from the Filtered mail settings section. This will ensure that you can now use the filters to archive more aggressively and worry less about missing an important message. You can select the number of Items or e-mails to show up in your priority Inbox so that you can make sure you not miss one single important mail. 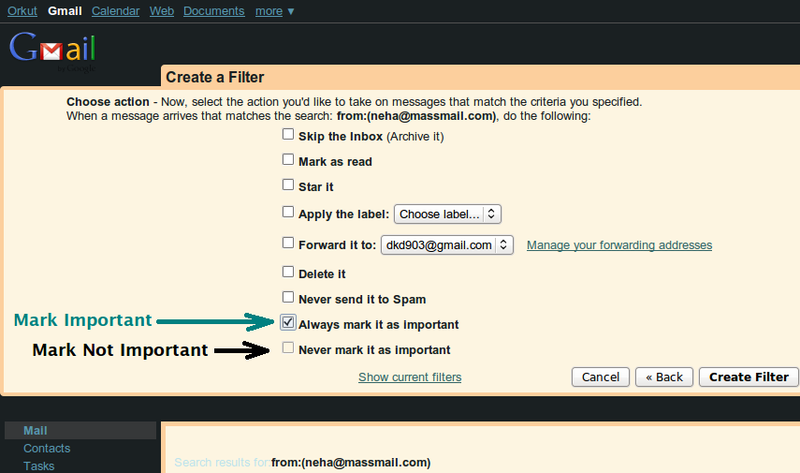 You can also create a new filter and specify mails from particular e-mail addresses to be always marked as important or never marked as important. GMail's priority Inbox really works and you need to give it some time before it give's it's best as the system is real time and it continuously learns about your email patterns!